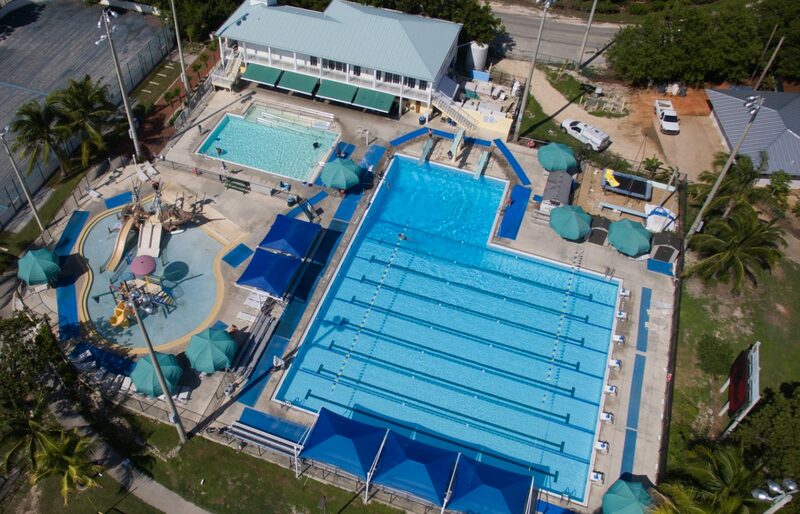 Jacobs Aquatic Center (JAC) is a world class 3-pool swim facility located in the heart of Key Largo, Florida Keys. 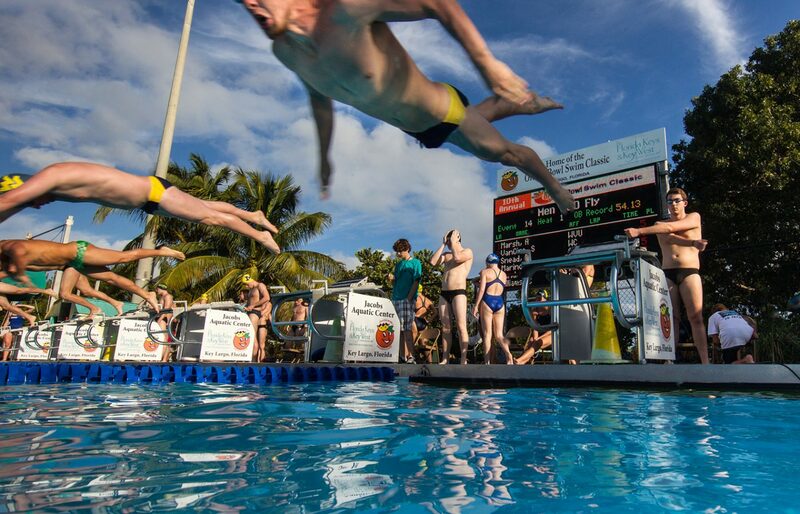 Our ‘Splash’ schedule offers year-round aquatic programs for all ages and swimming skill sets. 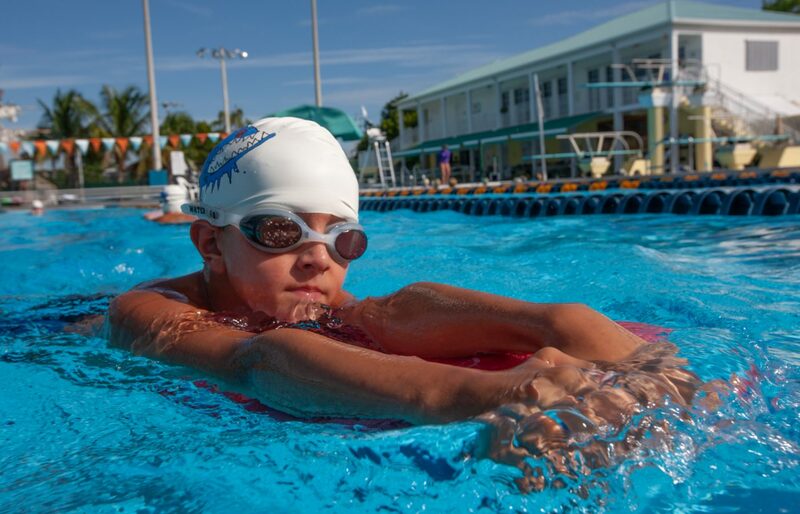 Whether you are looking for fitness, lap swimming, swim lessons, or swim training, Jacobs Aquatic Center is the place for you. 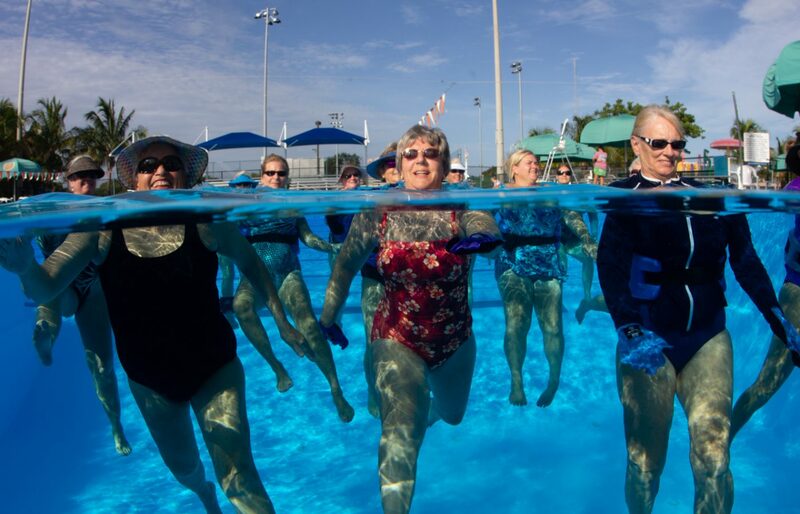 The facility features a 25-Meter Myrtha competition pool* with a 12-foot diving well, a therapy pool* (perfect for water aerobics), and an activity spray gym** complete with slides and water features. Our concession desk offers a variety of snacks, ice creams, beverages, and swim goggles. 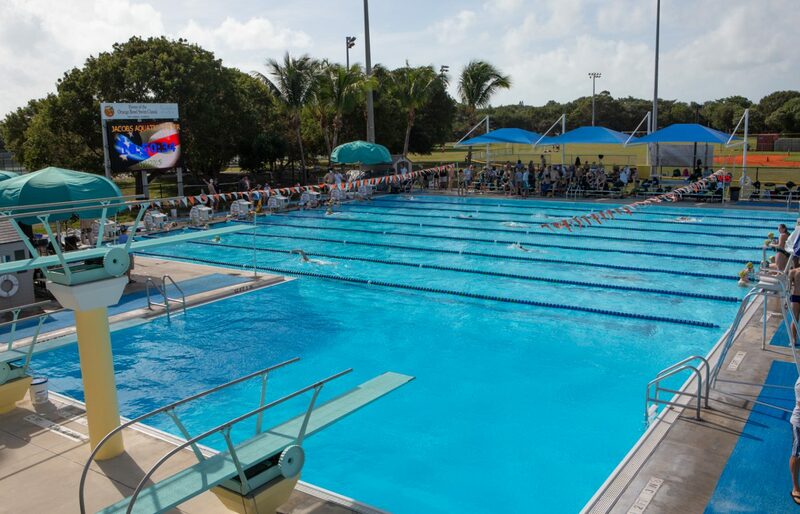 Jacobs Aquatic Center is the proud host to the Orange Bowl Swim Classic and Winter Training.